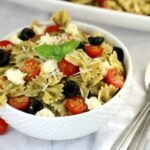 Pesto Pasta Salad - Frugal Mom Eh! 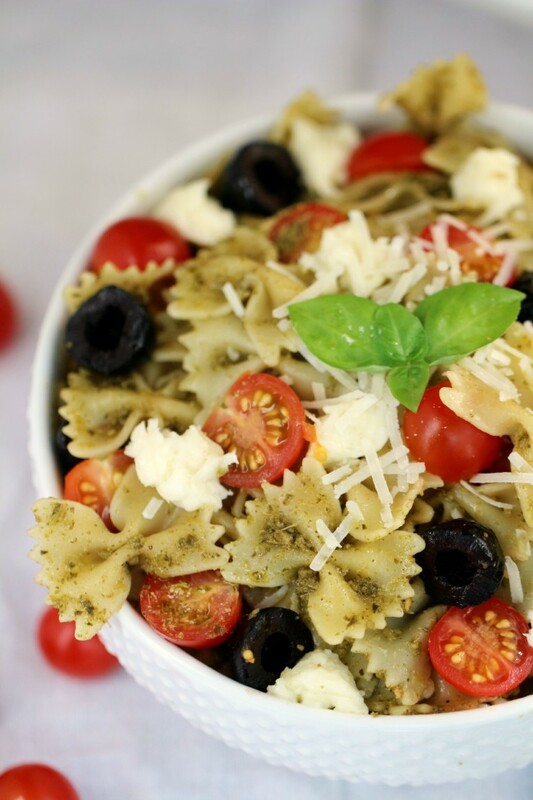 This Pesto Pasta Salad Recipe features bow tie pasta and fresh ingredients for a summer salad or side dish that is full of flavour! Growing up the dinner was always the place our family just stopped and connected around everyday. We caught up with each other, joked and enjoyed good food. Life was a little bit simpler back then. There was no video games, phones, tablets or anything else to distract us. These days things are a little more complicated. Technology is portable and it’s so much easier to get lost playing on your phone, watching TV or one of a thousand other distractions. That’s when families even have the time to all sit down together for a meal. Life get’s busy. To help encourage families to make the most of dinnertime, Barilla Canada has launched the Share the Table initiative to help make mealtime meaningful again. 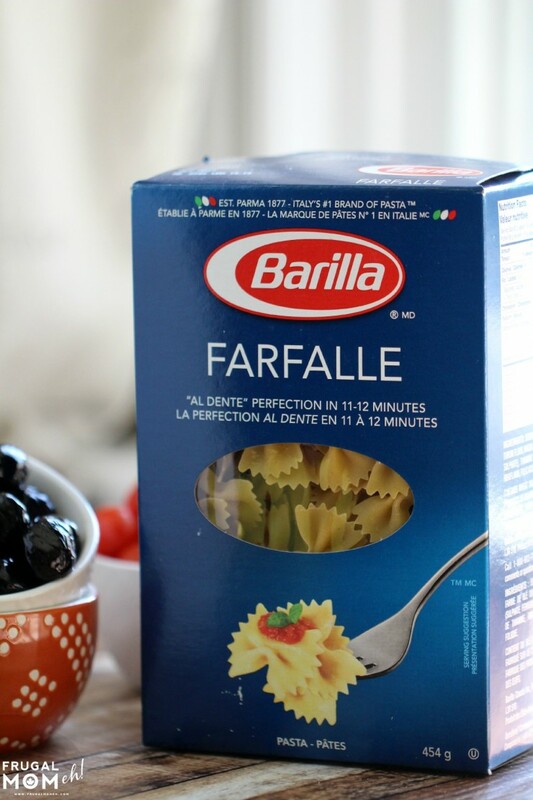 I think it’s time we all get back to family dinners spent together and Barilla shares some wonderful tips to help you do just that. Barilla is also giving away 3 amazing trips to Italy for 4 and all you have to do to enter is show or tell Barilla what dinner time looks like with your family. Of course, part of sitting around the table together is also preparing the food, and preparing food as a family is a great way to connect even more. Meals don’t have to take long to put together or be complicated. An example of that is my Pesto Pasta Salad. It includes amazing, simple ingredients that can be thrown together in just 15 minutes as a side or simply added pre-cooked, chopped chicken for a complete meal! 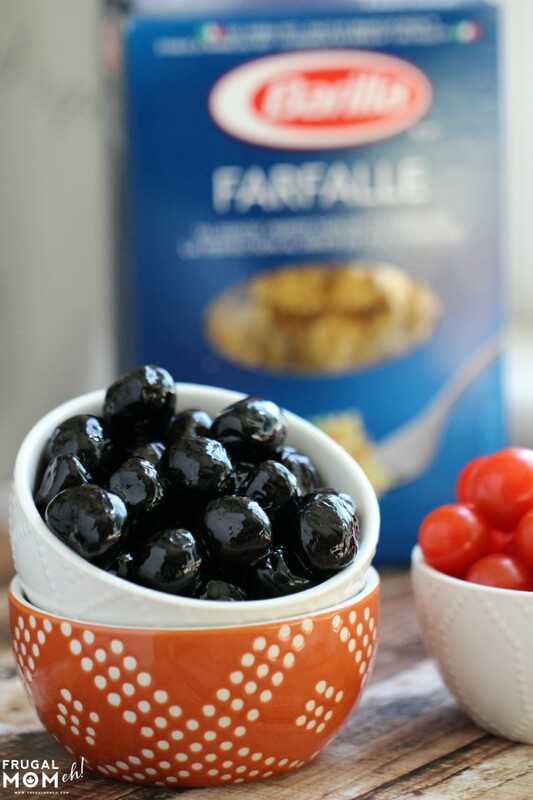 I had a moment of inspiration the other day when I came across these amazing black sun-dried olives at the deli and thought they would pair pretty fantastically with Barilla’s Farfalle pasta. Cook the pasta in salted water for 11-12 minutes, or until just perfectly al dente. Drain and place in a large bowl. 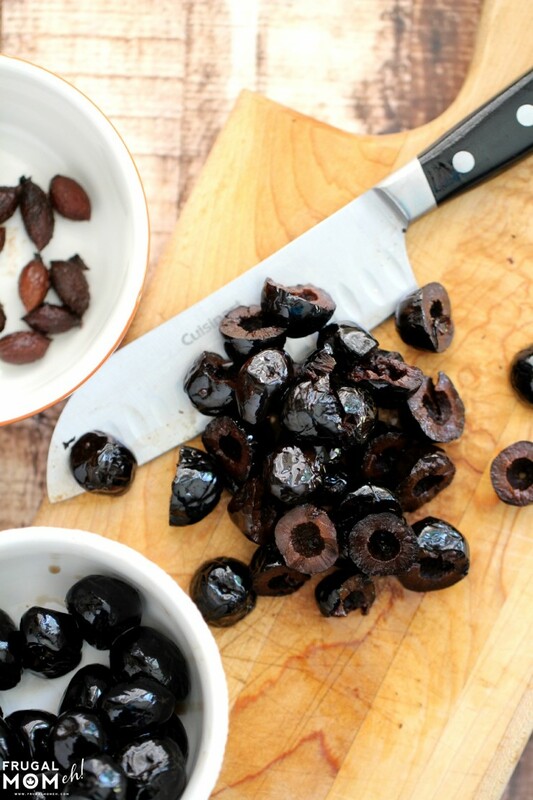 While the pasta is cooking, slice your olives in half. 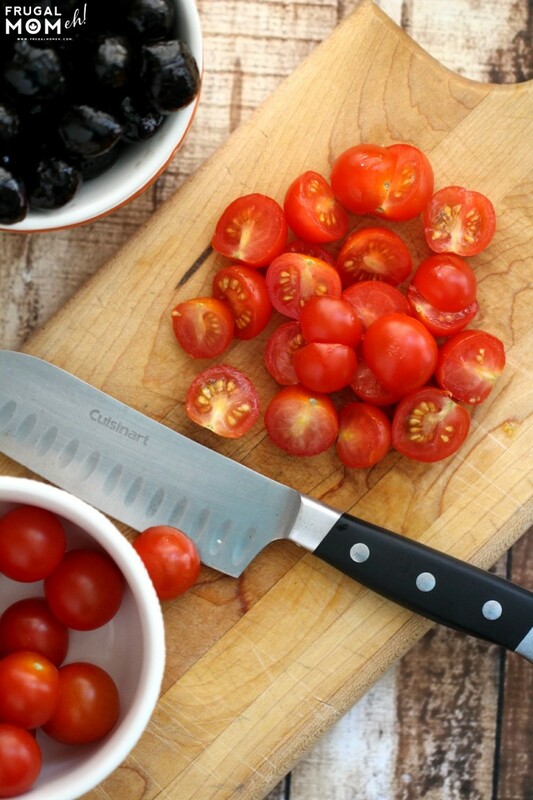 Grab those cherry tomatoes and slice them up too. Throw them in the bowl with your cooked pasta along with the pesto and your mozzarella. I used homemade jarred pesto I already had but you can use store bought or your own favourite recipe. Toss everything together and either serve warm or chill before serving. It’s great both ways! Don’t forget to sprinkle each serving with some shredded Parmesan for a little extra perfection. Cook the pasta in salted water for 11-12 minutes, or until just perfectly al dente. Drain pasta well and place in a large bowl along with the rest of the ingredients. Wasn’t that easy? For more inspiration check out the Barilla’s #ShareTheTable for recipes, tips and more! Disclosure: This post has been brought to you by Barilla. All thoughts and opinions are honest and my own. 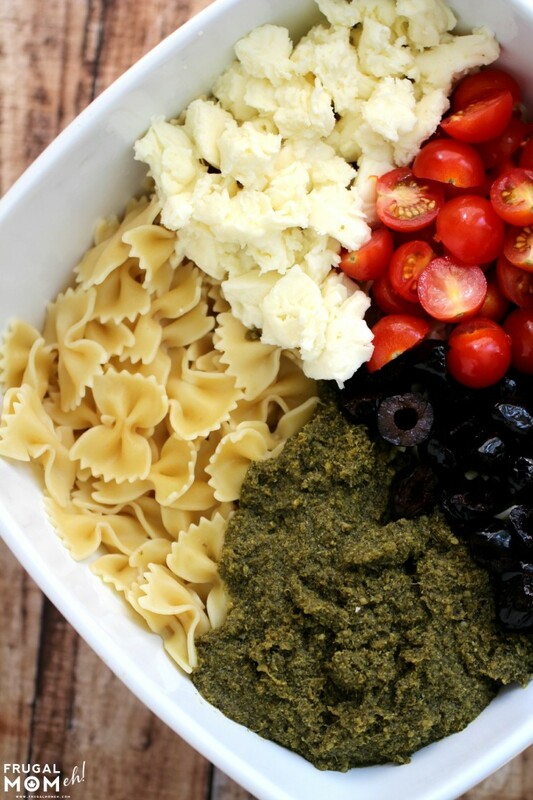 Your pesto salad looks amazing. 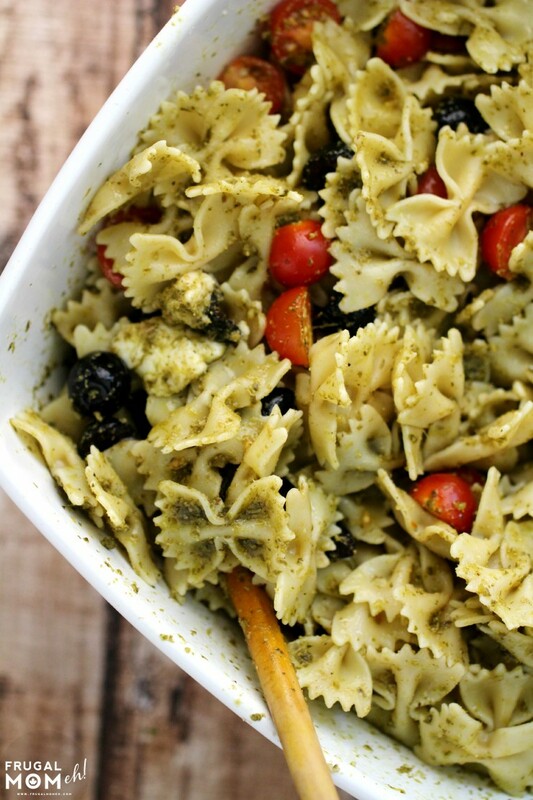 I’m not a fan of olives and tomatoes but I might try this because I’m a fan of pesto pasta in general. This is the brand pasta I buy too. This recipe looks perfect for summer picnics – yum! 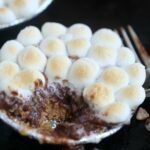 It can be so easy to make, yet I still see people buying it by the pint at the grocery store. So much better when you make it yourself! Oh this looks so amazing. I will have to try it out this weekend. Thanks for sharing. This looks so appetizing! 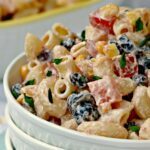 We love a good pasta salad in the summertime! Barilla is my “go to” pasta for everything. My kids aren’t picky but I sure am. 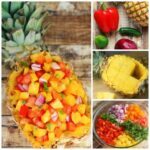 And this salad looks amazing – great photos! All the ingredients look delicious! 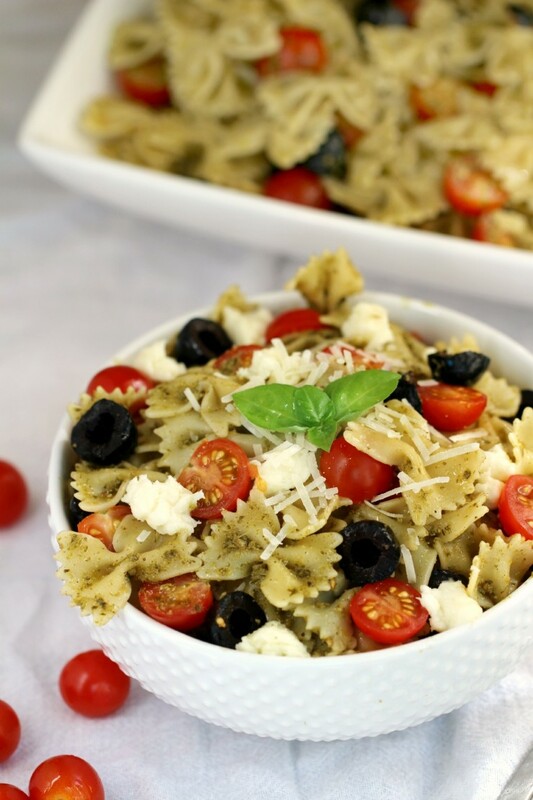 I love olives and cherry tomatoes but had never thought of adding them to a pasta dish. It’s a great idea and I will definitely be making it soon. I love pasta in any form but I especially love pasta salad. I would love to try this recipe for myself right here at home. oh this looks amazing, what a delicious summer salad! That is a delicious looking pasta. I’d love to make that here this weekend. This is going on my summer menu list. So delicious looking! 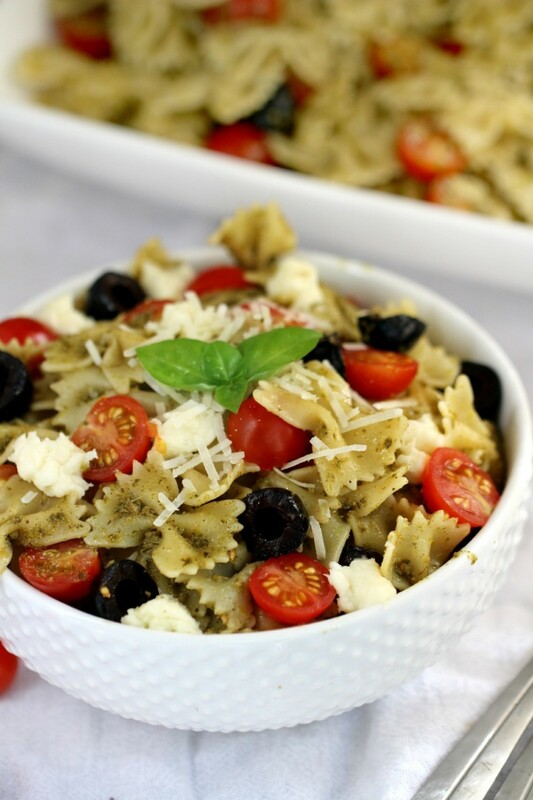 This recipe looks delicious and we are huge fans of black olives and pesto. Ideal for the hot summer months! Yum! Love pasta salads. Going to have to try this one out soon, thanks for the recipe! 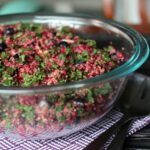 This sounds like a great salad for summer! It’s so quick and easy that it would make a great dinner as well. I love pesto on everything.